Kayla's Life Notes: Vitamin D...iabetes? Recently, like I said I started looking at other ways to lower blood sugar instead of leaning on my insulin pump. I was hoping to reduce the amount of insulin I use in a day which is usually 60 units (including basal/bolus) and now, in the past week it has been reduced to approx. 40 units (including basal/bolus). I am pretty excited that it is almost down to half the amount I was using before, mind you my basal rate is pretty high. So, what am I doing? Well first of all I have been making better choices with food. Avoiding bread and pasta - although a few times I have broken that rule because I was on the road or needed a quick lunch and therefore I grabbed a sandwich from Tim Hortons. Other than that, I have done well in picking foods that I know I can burn fast like fruits & veggies and food that I know will keep me full like trail mix and mini wheats - however, I think I need to stop eating mini wheats because I am getting major stomach pain from them even if I eat the slightest bit. The second thing is that I am trying hard to work out. Focusing on both cardio and weights. I am attempting to go to the gym for an hour for at least a minimum of 2-3 times a week (just for a starter!) I also started taking Zumba every Tuesday-Thursday and I find that it is a class that goes fast, makes me smile and gives me a good workout. The third thing is that I am taking vitamins! A few people had suggested I take Vitamin D and I totally forgot the last time I was looking and when I asked the pharmacist what she suggested she wasn't very clear - I should have known to just ask the diabetes community. I bought Vitamin B for stress/energy and I believe that it works well, however, when I suddenly remembered that a few of my type 1 friends had suggested Vitamin D, I headed back to the store to buy that as well. Turns out this Vitamin D is doing something right! Or at least, I am really proving the concept of the placebo effect. I have gone a few days with having blood sugars no higher than 12 and trust me, that's a good accomplishment - also note that I am taking less insulin. I am finding that it in combination with the other two things are keeping me relatively in target, with a couple lows here and there. Either way, it appears that Vitamin D is for Diabetes and I am pretty happy with what it has done for me thus far! 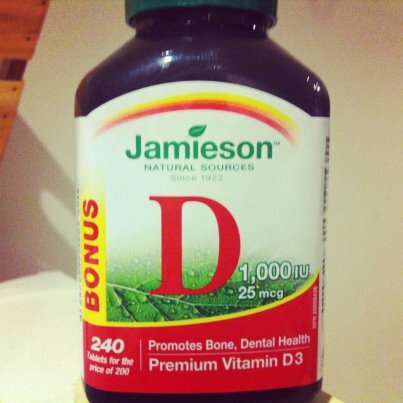 I've heard that Vitamin D and calcium make a good combination for lowering blood sugars. I can only speak from what I've read, since I don't take those. I take a multivitamin, and that's it. The other one you might want to research is chromium. There seems to be a link between chromium deficiency and high blood sugars. My endo recently started all his patients on Vitamin D. I'm not sure what it's supposed to do, (or if regular D is sufficient as opposed to D3) but I've been taking one-a-day for a few months now. Bitter melon and cinnamon capsules work for my husband who was told to watch his blood sugar. I am slightly allergic to cinnamon so I haven't tried that. However I so take 2 capsules of the bitter melon every day and I have noticed that my blood sugars have become more stable. And with the problems I've had with menopause, this is a blessing.